The ITUO Wiz1 800 unit has a good form factor with a big head for cooling. The lens then tapers to the battery area (click to enlarge). 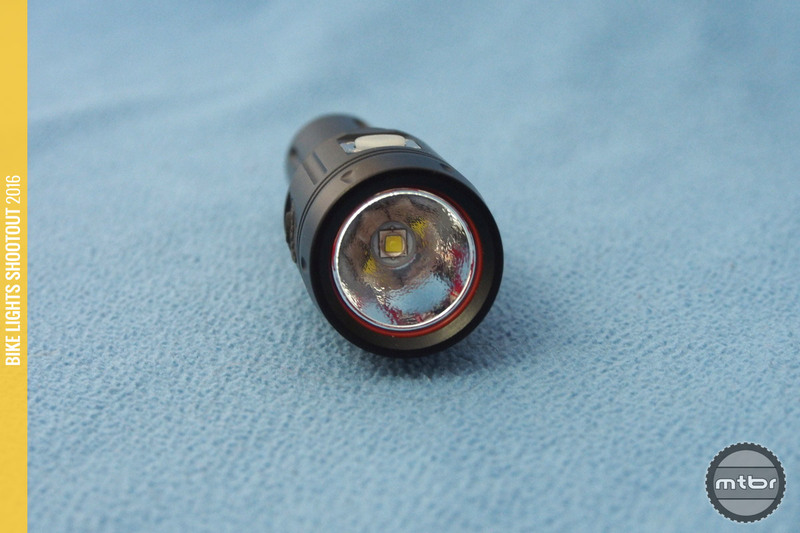 Editor’s Note: This article is part of Mtbr and RoadBikeReview’s 2016 Bike Lights Shootout. See the 2016 Mtbr Headlights Index and the RoadBikeReview Commuter Lights Index. 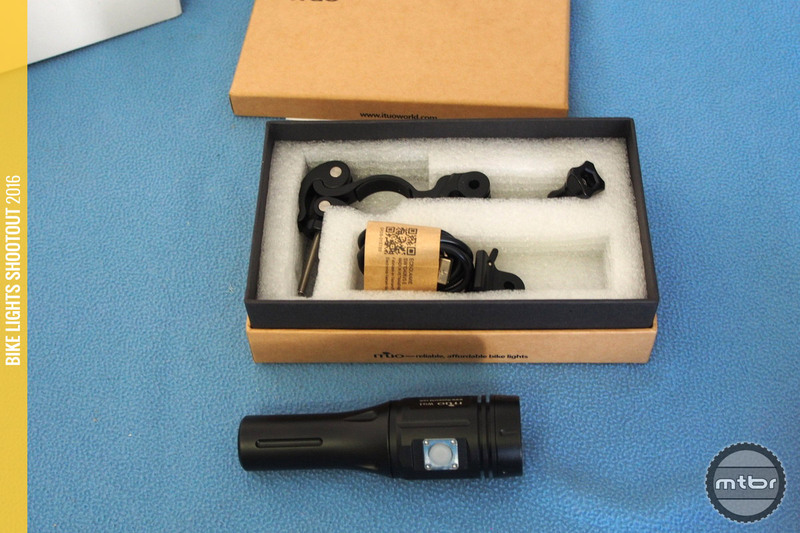 The ITUO Wiz1 and Wiz2 lights have been sitting in our offices for a few months now, waiting for lights season. Playing with this unfamiliar brand, we were pleasantly surprised to see well packaged and well crafted lights. 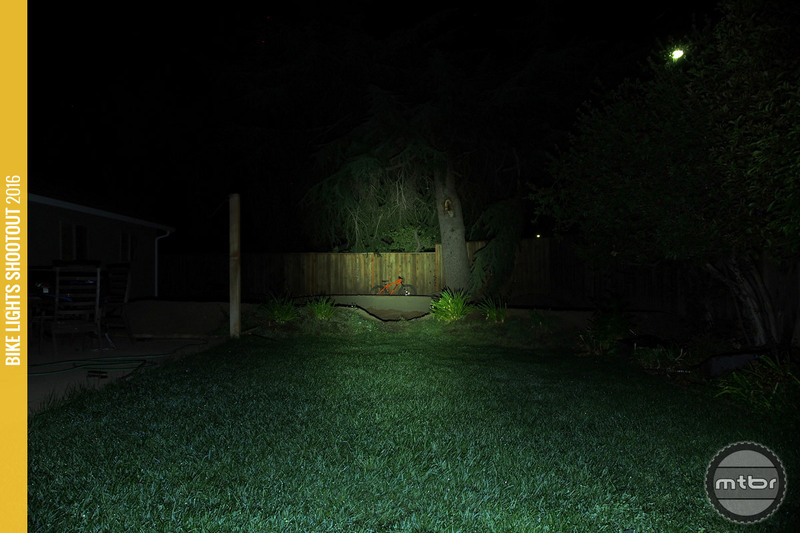 They both share the same 800 Lumen output with the Wiz1 using a bigger battery and lasting 3 hours on high. 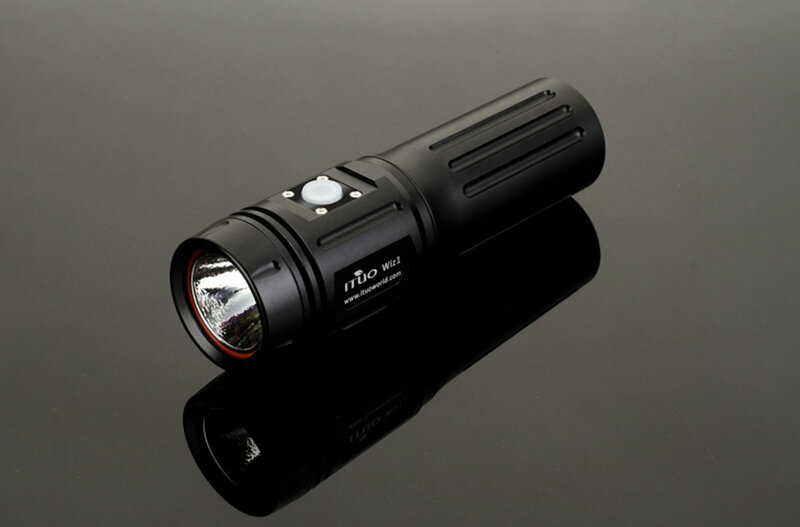 The Wiz2 uses the standard 18650 cell that provides 2 hours of 800 Lumen output. 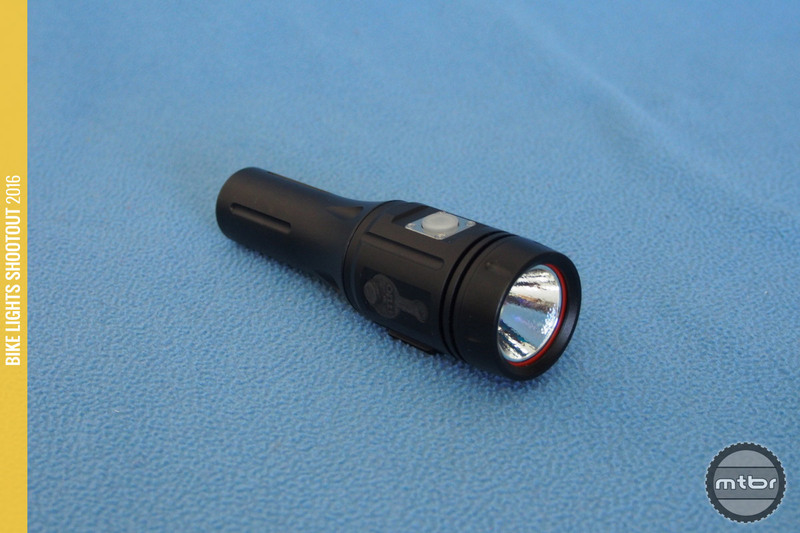 Output is honest at 800 Lumens and beam pattern is excellent with a good spill and a well-defined spot for distance. The result is one of the more useable beam patterns in the shootout. Then the kicker is the price of $80 for the Wiz2 and $90 for the Wiz1. There’s a crowded field of self-contained bike lights out there but the ITUO Wiz2 and Wiz1 are standouts. First they have honest Lumen outputs with very good beam patterns. The beams on both lights are identical as optics are shared. The beam has a large halo on it and a good spot. This allows good peripheral vision while achieving good throw (beam distance) as well. The color is fairly pleasant too with a slightly warm tone. 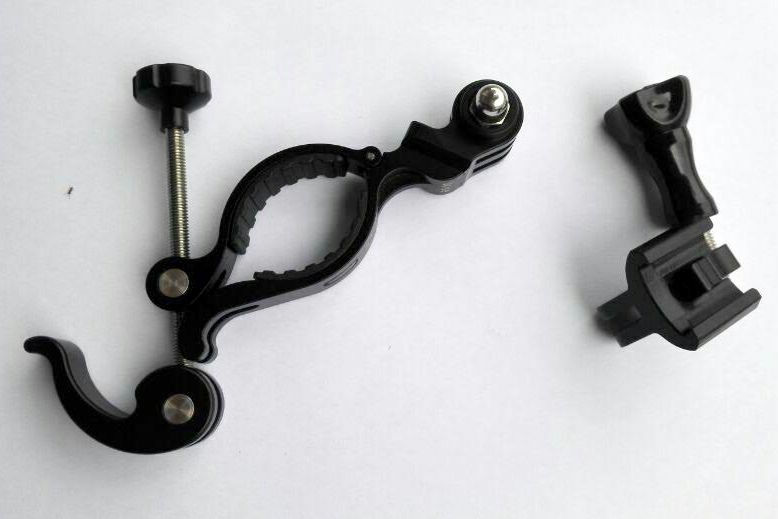 The mount is GoPro compatible and it works well with a quick release lever. 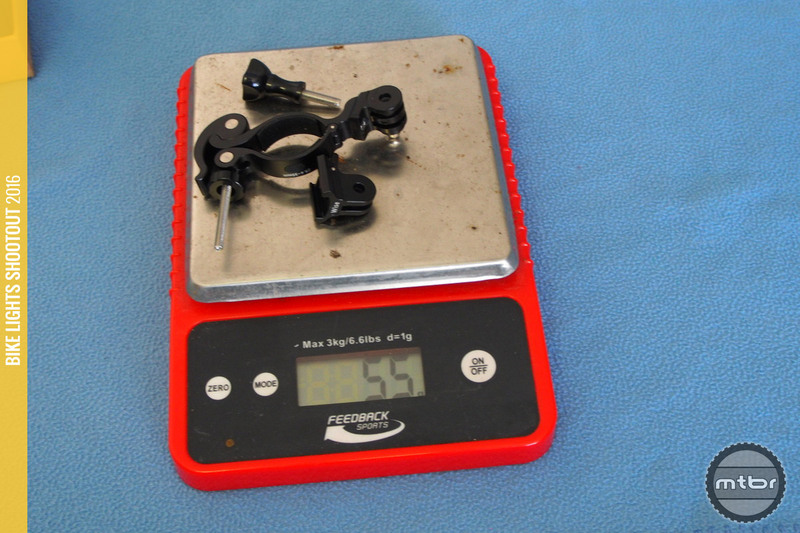 It is a bit bulky too at 55 grams, making it one of the heaviest mounts we’ve seen for a self contained light. But machining and construction are quite amazing, as some manufacturers (like GoPro) would probably charge $40 for the mount alone. The ITUO Wiz1 800 has a great lens reflector (click to enlarge). The big surprise here is the runtime. Two hours for the Wiz2 is quite good and is on the better end of the category. But if one is more interested in big, long rides, the Wiz1 goes for three hours on full power. 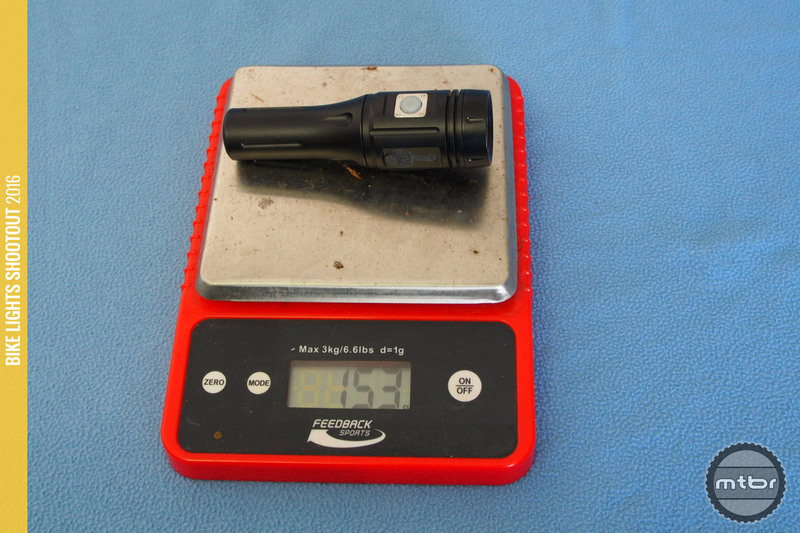 It is indeed the longest we’ve ever seen for a self-contained bike light. 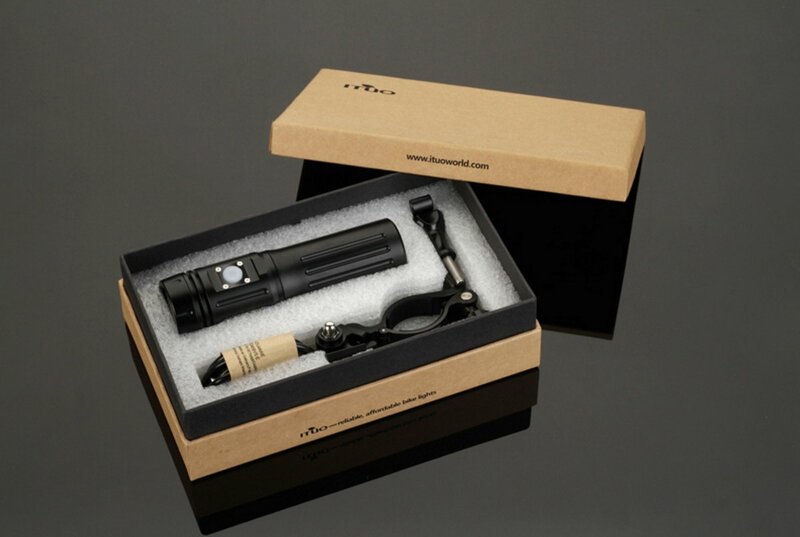 The ITUO Wiz1 800 packaging is worth noting (click to enlarge). The story gets better when the issue of price is discussed. $80 for the Wiz1 and $90 for the Wiz2 is simply an incredible value. We were impressed with the performance and value of this light, but the quality and construction were totally unexpected as well. 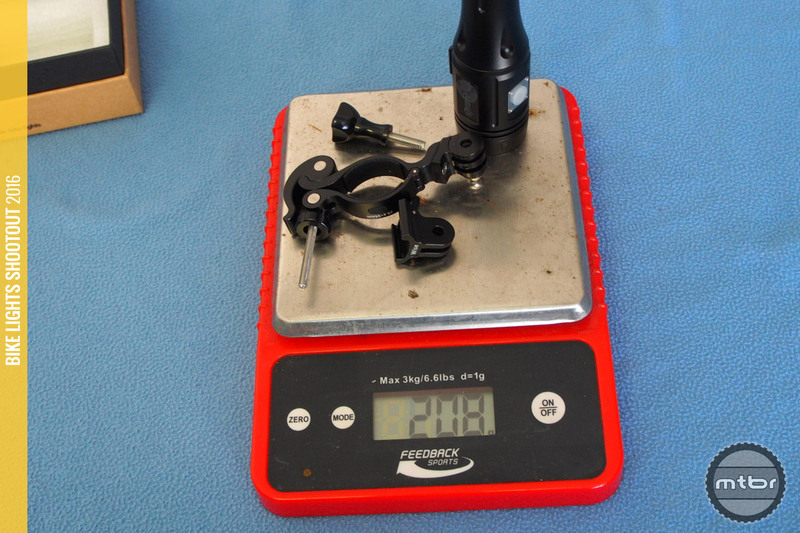 ITUO Wiz1 800 weight with mount is 208 grams (click to enlarge). It’s a great light that comes in a 2 hour version or a 3 hour version. The battery is field replaceable if one ever needs even more runtime. For more information visit www.ituoworld.com.